This set 8501 contains 2 different G3 strings, a plain string (.018p) for easy string bending and a wound G3 string (.020w) for the famous guitar sound of the Fifties and Sixties. 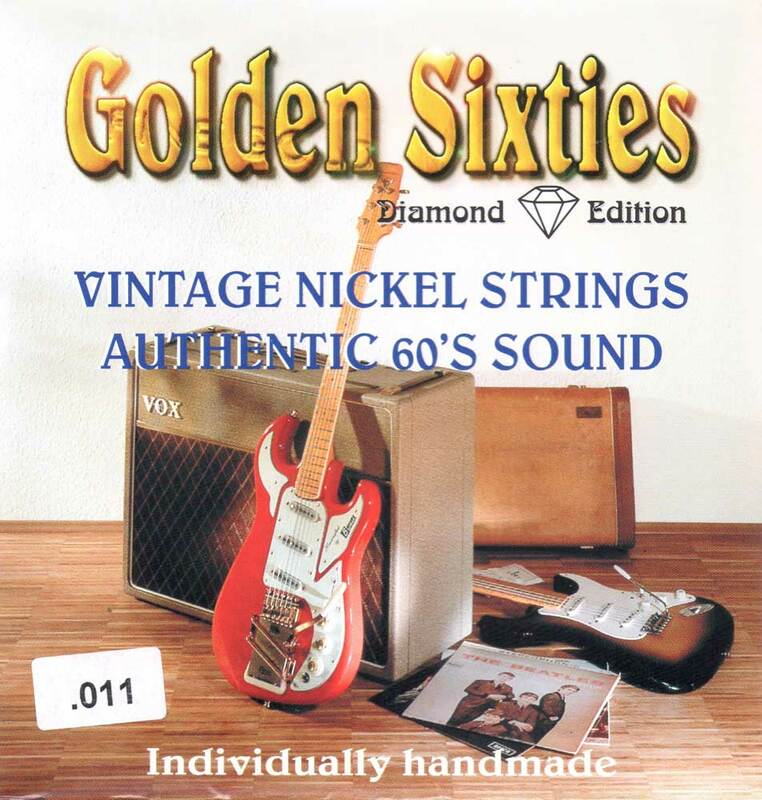 TheGolden Sixties Diamond Edition - Vintage Nickel strings. Authentic 60's sound, handmade. These strings feature a round core construction instead of commonly used hex core construction. This return to the manufacturing process of the 50's and 60's results in strings which offerunbelievable tone and sustain. The nickel wire used for the wrap of the wound strings features a purity of 99.2%, resulting in a silver-shimmering tone.